Capturing the “perfect” shot for Instagram has resulted in injuries and deaths, like the most recent tragedy of a travel influencer couple who fell to their deaths in Yosemite. 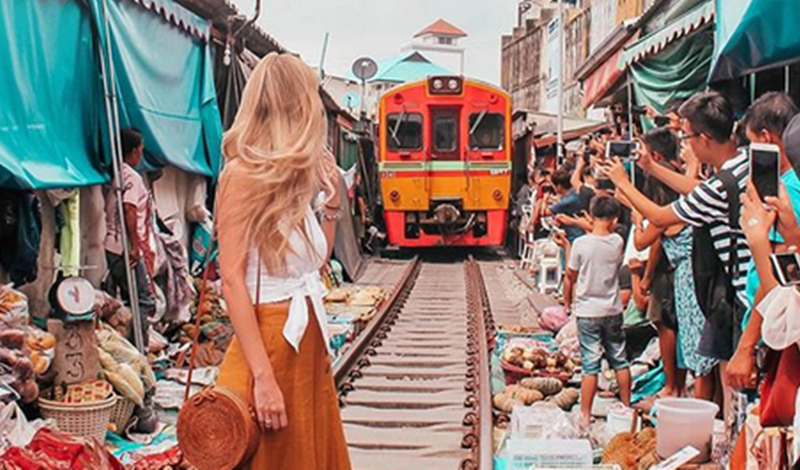 Instagram users were not happy with influencer Patricia Alejos Monzon, a travel blogger with 32,500 followers, as she recently posted a photograph of herself standing in front a moving train approaching her at a busy junction in Thailand. Followers cited the danger that Monzon faced, as well as how such a photograph could have unintended consequences. The travel blogger initially defended her choice in taking the photograph. “First, this is not dangerous at all, and second I am not the first and won’t be the last person taking a photo here or any other dangerous places. It is on ourselves to be aware of the dangers and the limits. Even if I would not take this photo, people would anyway. I am not a person who takes a big risk just for a photo, I value my safety and life,” she wrote, according to Metro.Co.Uk. Even though she defended her actions, Monzon ultimately deleted the post. Perhaps due in part to the criticisms from her followers, Monzon posted another Instagram photo today with a caption that shows her backtracking on her initial argument and admitting the risks associated with her photograph. Monzon wrote: "I need to agree that I was wrong in posting the picture at the Maeklong Market and with the caption for it as well. The picture gives a wrong impression of what the intention was." "It is showing a dangerous situation in a positive light although the main focus was supposed to be on the market itself. For this, my [sincerest] apologies." "As I have mentioned several times in the comments: I WOULD NEVER RISK MY LIFE FOR A PHOTO. Please, DON’T DO IT YOURSELF. We constantly hear sad news about people risking their lifes for a photo and it is terrifying. Social media is a platform to share our content and it should never promote dangerous situations." While Monzon seems to have had a change of heart, death by selfie or other risky moves to capture the 'perfect' photo is a real problem among tourists and travel influencers around the world.